IT will be the other Sharif who arrives in Washington next week, less than a month after the visit of Prime Minister Nawaz Sharif. There seems to be much greater hype surrounding the upcoming trip of Gen Raheel Sharif who is certainly taken more seriously by the US administration when it comes to dealing with security issues — undoubtedly the most important part of the tricky relations between the two countries. Its support for the democratic civilian government notwithstanding, there is a growing impression that Washington would rather deal with the Pakistani military leadership that it believes can deliver on its regional security concerns. Hence the significance of the general’s visit. 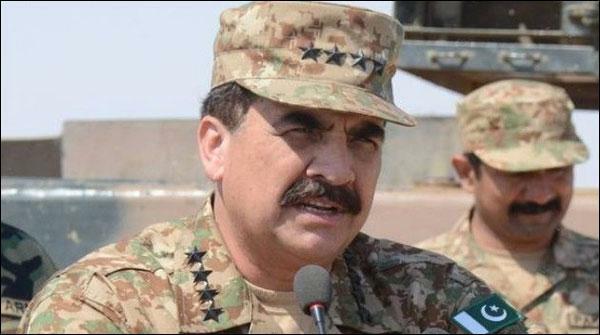 With his stock rising at home, Gen Sharif has become increasingly active on the external policy front too. He has perhaps travelled to more world capitals over the last two years than even the prime minister, reinforcing the perception that not only does the military call the shots on security matters it is also actively directing the country’s foreign policy. With no full-time foreign minister in the federal cabinet, Gen Sharif seems to have taken on that responsibility too. He was in Saudi Arabia this month trying to mend tense relations with the long-time ally. His visit to Moscow in June this year was believed to have paved the way for a new relationship between the two nations. In London, the British prime minister received him at 10 Downing Street, a protocol normally reserved for heads of government. Unsurprisingly, this has raised many eyebrows at home. The general may find America’s wish list trickier on his second visit to the country as army chief. Gen Sharif’s visit to the US will be his second since taking over the army command in 2013. He received red-carpet treatment on his first visit one year ago and was awarded the US Legion of Merit in recognition of his services in fighting terrorism. It was not the first time a Pakistani army chief had visited Washington, but the kind of interest Gen Sharif attracted during the trip was rare, if not unprecedented. One major reason was that the visit took place a few months after the start of the much-delayed military operation in North Waziristan which helped iron out the strains between the two militaries, whose ties had seen a downturn since 2011. The red carpet may be rolled out for the general this time too, but the wish list from his US counterparts is likely to be a bit trickier to deal with. While there is an appreciation of Pakistan’s counterterrorism efforts and its military campaign in the tribal areas, there are now renewed US concerns about the Haqqani network with the escalation in the Taliban offensive in Afghanistan. The collapse of the peace talks between the Taliban and the Afghan government has added to US worries, casting a shadow over the general’s coming visit. Although the Americans in their meetings with the prime minister raised these matters, they will surely be the main focus of discussion again during the general’s visit, besides other regional security matters. With the beginning of the military operation in North Waziristan, concerns over Pakistan’s alleged patronage of the Afghan insurgent group seemed to have been pushed into the background. US military officials had acknowledged that the offensive had fractured the network causing it to be “less effective in terms of their ability to pull off an attack in Kabul”. But the issue has now resurfaced with greater intensity, straining relations between the two countries. A recent US State Department report said that while operations carried out by Pakistan’s military had disrupted the actions of many militant outfits in the country, groups like the Haqqani network were spared by the offensive. Interestingly, a senior commander of the network was part of the Taliban team during the Murree peace talks that enjoyed Washington’s blessings. There was certainly no objection from any side to his presence in the meeting. The hardening of the US stance on the issue seems to have been triggered by the latest uptick in insurgent violence in Afghanistan that has also forced the Obama administration to withhold the complete withdrawal of US troops from the country. Predictably, the network has once again been blamed for the escalation. Renewed US pressure to act against the Haqqani network has worsened Pakistan’s dilemma. The question is whether the military operation has really driven the Afghan insurgent faction out of their bases in North Waziristan or has it just been relocated to other tribal regions as is being alleged by the US and the Afghan government. Surely we need to clear this ambiguity. But it is for Washington and Kabul to remove the confusion in their positions as well. Pakistani officials rightly point out that it is not possible to kill the Afghan Taliban leaders and at the same time persuade them to talk. A major US demand is that the Taliban be brought back to the negotiating table. It is certainly not going to be easy with the deterioration in relations between Kabul and Islamabad. Neither the Taliban nor the Kabul administration is willing to resume the talks at this stage. The second round of the Murree talks was suspended after the disclosure that Mullah Omar had died some two years ago. The Afghan government immediately accused Pakistan of deliberately hiding the information. Thus, after a brief period of bonhomie that had promised to chart a new era of cooperation between Pakistan and Afghanistan, it is back to the old hostile ways. Relations between the two countries hit a new low after Afghan security officials blamed Pakistan for actively backing the Taliban offensive in Kunduz. It is certainly unrealistic to expect Pakistan to facilitate the Afghan peace process given this atmosphere of distrust. Some in Washington, however, believe Pakistan has not done enough to bring its influence to bear and to persuade the Afghan Taliban to renounce violence. Alongside the red-carpet treatment, Gen Sharif must also be prepared for some tough talking in Washington. It is certainly not going to be a pleasant situation for the army chief.